A Glazed extension can change the relationship between the interior and exterior of your home. Glazed Extensions provide the ultimate addition to your home. An extension in traditional bricks and mortar combined with the light and airy style of a glazed extension. It will create a big increase in living space for your home. If you can imagine it we can build it. We will help with all the aspects of construction from start to finish, including initial design, planning and base work and construction. We will also look after your plumbing, heating and electrical requirements. We will also take care of your floor-coverings, patios, paths and general landscaping. 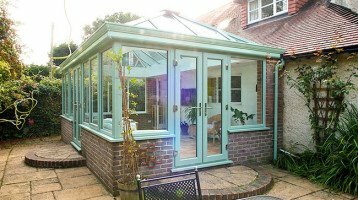 The Cheam Glazed Extension offers so many benefits over a bolt-on conservatory. It does not suffer from excess heat in the summer and is a full room you can use all year round use. Glazed extensions are now the popular way of providing more space in the home such as kitchen and living areas. 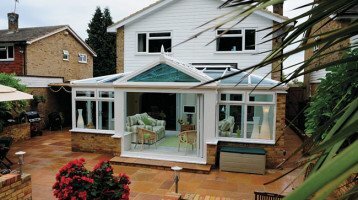 A glazed extension will add value to your home. Glazed kitchen extensions for example create an impressive modern addition letting you add a bigger kitchen, dining area, more work space or appliances. Your Cheam Glazed Extension will have its own character and style. 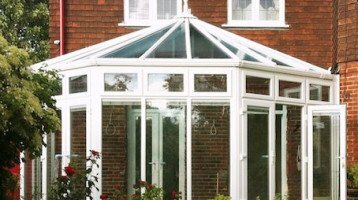 A cross between a traditional conservatory and a fully built extension they provide the ability to add that extra room whether as a lounge, family room, study or playroom. All are individually designed for you and totally bespoke. Contact us today to arrange a free design consultation or just to discuss your ideas for a Glazed Extension.